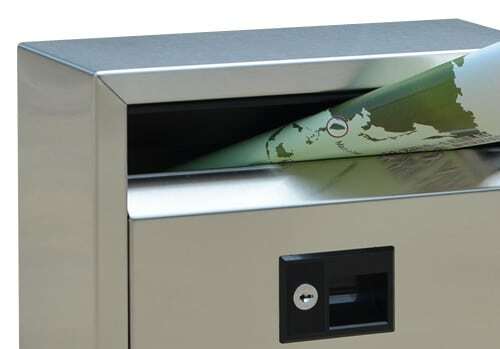 Designed for modern spaces, the Fouriserie Ecco E9 mailbox by Ecco Mailboxes enriches the appearance of any contemporary home or office exterior. 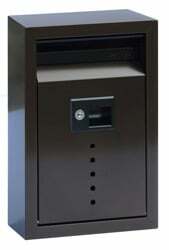 Perfect in size, this mailbox receives and safeguards all incoming mail. 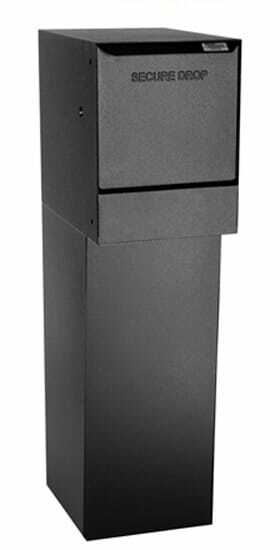 Inspired by the clean lines of modern contemporary design, this deluxe mailbox is a letter box that has a 1.5 inch tall mail slot cover. 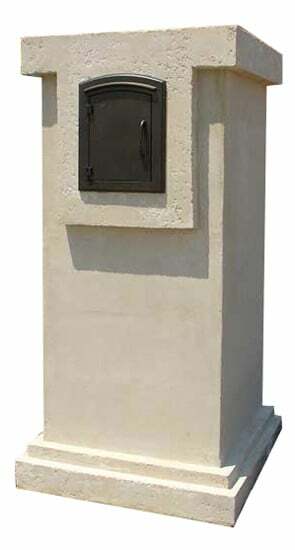 The wide locking doors on this Wall Mount Mailbox opens downwards to just shy of 90 degrees ensuring that contents do not fall out and allowing for convenient mail retrieval. 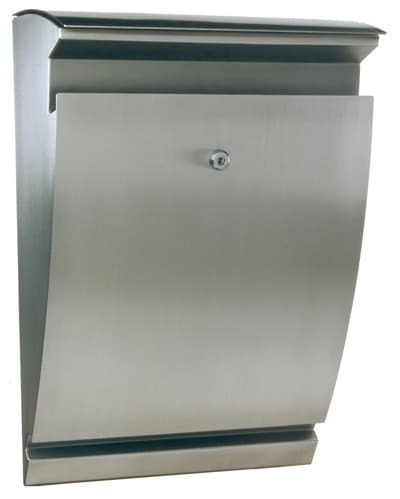 Each high security stainless steel locking mailbox is constructed of strong 20 gauge “304 stainless steel” finished in a rust resistant hairline brushed finish. 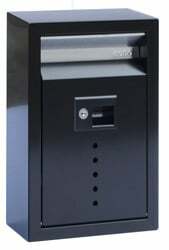 The finger pull lock on this Ecco mailbox helps to reduce fingerprints and the see through holes on the front door allow you to see any new mail. 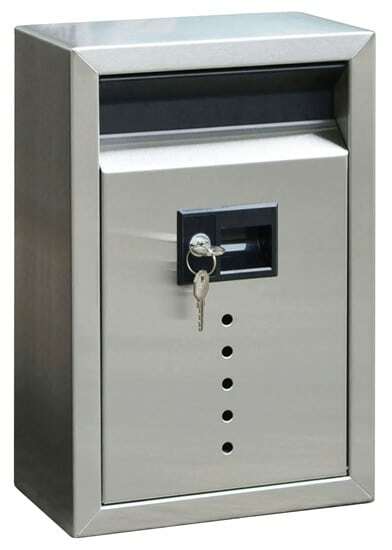 A multipurpose, combination spring loaded latch and keyed lock, gives owners the option to use this wall mount mailbox with or without a locking door. 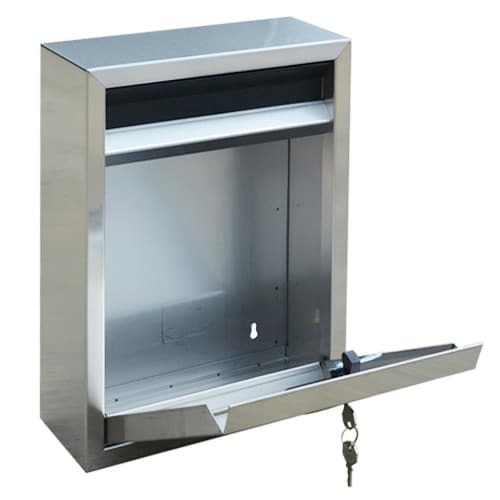 Official size of the E9 Ecco Wall Mounted Mailbox; 8.5″W x 13″H x 4″D; Letter Slot: 1.5″H x 7″W. 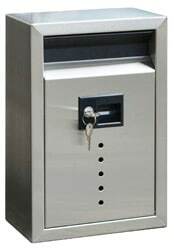 This Ecco locking mailbox includes instructions, mounting hardware and two keys. Get inspired and adorn this trendy Ecco mailbox with matching Ecco Address Numbers. 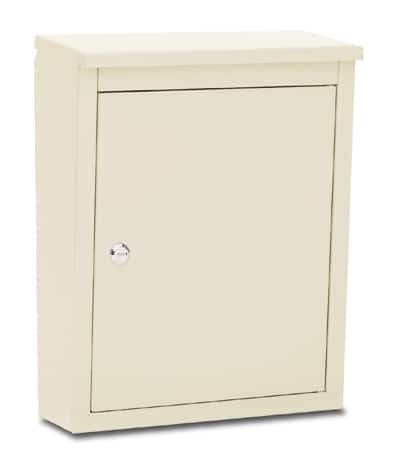 View more MailboxWorks Wall Mount Mailboxes.